where "A" is welding current (ampere: the quantity of electricity conveyed in one second); "V" is welding arc-voltage (volt); "S" is the arc travel speed or welding speed (mm/min or cm/min); "60" standardizes the units for "A" and "S," since 1 minute is 60 seconds). In this way, the unit of heat input can be J/mm, kJ/mm, J/cm, or kJ/cm where "J" and "kJ" stand for Joule and kilo-Joule respectively. The most important characteristic of heat input is that it governs the cooling rates in welds and thereby affects the microstructure of the weld metal and the heat-affected zone. A change in microstructure directly affects the mechanical properties of welds. 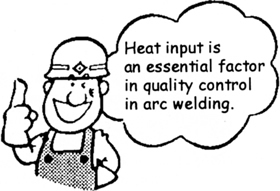 Therefore, the control of heat input is very important in arc welding in terms of quality control. 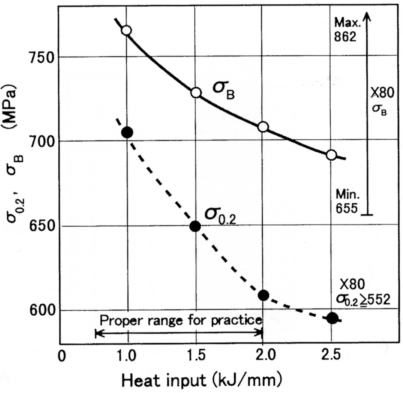 Figure 1 shows how heat input affects the cooling rates in welds. 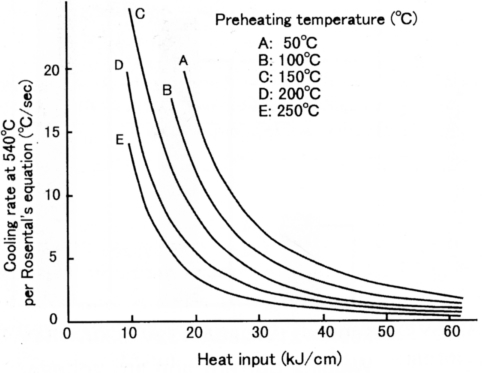 This figure suggests that the effect of heat input on the cooling rate is more significant in lower heat input ranges at every preheating temperature when the plate thickness is kept constant. 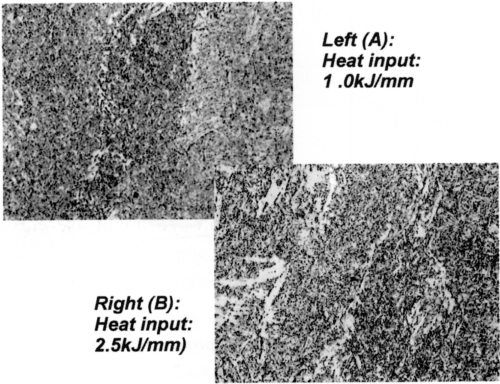 Figure 2 shows the use of higher heat input (A: 2.5 kJ/mm) causes more coarse microstructure when compared with lower heat input (B: l.0 kJ/mm). This marked difference in microstructure results in significant effect on the strength of welds as shown in Fig. 3.